Offer price includes: assembled unit stand, table top, drawer, instructions and manufacturers accessories. 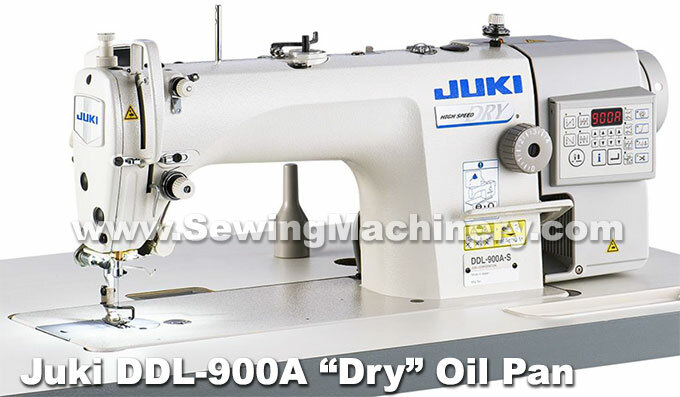 Juki's DDL-900A utilizes the established design of the DDL-8700/8700B series and adds a new dry pan oiling system. 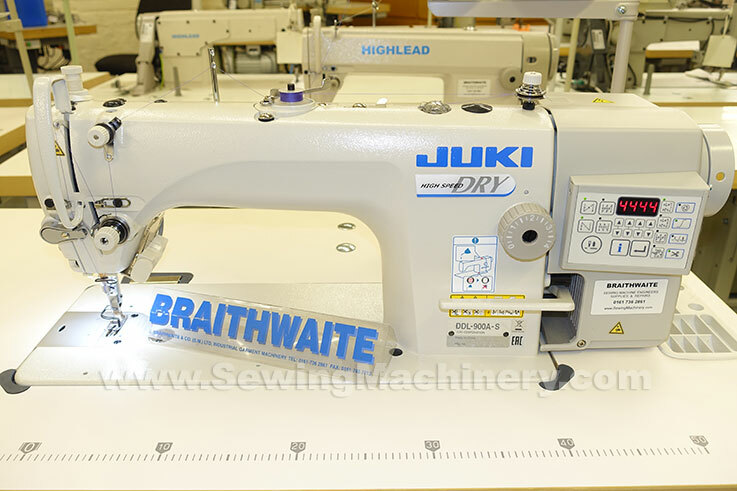 The sewing machine integrates the direct-drive motor, control box and control panel into a single package with the added benefit of the new dry oil pan mechanism. 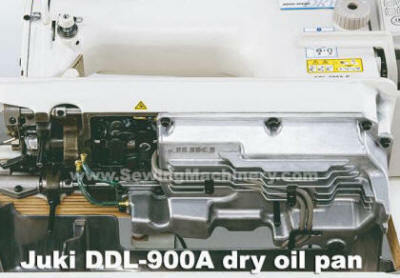 The dry oil pan system helps to reduce oiling staining which is sometimes associated with conventional wet oil pan systems. Oil is contained with-in a sealed aluminium sump. A lower amount of oil is supplied to the frame and needle bar area, when compared to conventional models, and an automatic oil recovery system helps further to reduce potential staining problems. 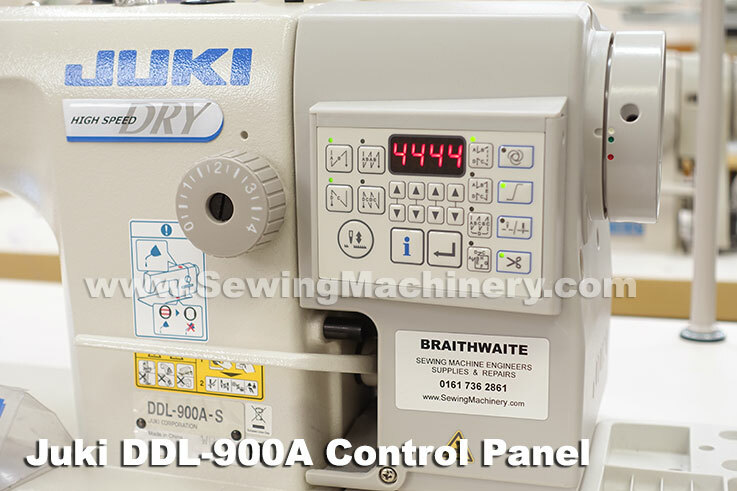 The Juki DDL-900A adds to Juki's range of single needle lockstitch sewing machines (replacing the previous DDL-8700B-7 model) and is offered as a less expensive alternative to the premium DDL-9000B model.